Currently splitting his time between LA and Australia, Matt Hetherington is Australia’s premier corporate entertainer. Matt has performed at some of Australia’s largest events & entertained some of our country’s biggest companies, sporting legends & even Prime Ministers. The Matt Hetherington Band is perfect for almost any live performance from a black tie corporate event through to a raging club. A top live band fronted by a theatrically trained performer. See the band live and you’ll realise why The Matt Hetherington Band is one of the hottest acts in the country. Matt Hetherington is being tipped as the next big thing to come out of Australia. His extraordinary voice and vitality on stage has earned him exceptional reviews both from his live band appearances and his numerous award winning theatrical performances. 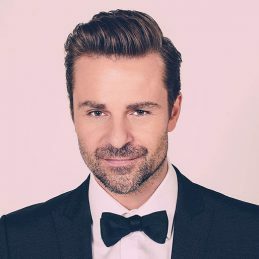 Matt has won 3 Green Room Awards and the prestigious Helpmann Award as Lead Actor in a Musical in productions such as; The Full Monty, Dirty Rotten Scoundrels, Next To Normal and North By Northwest. Recently Matt has been making exciting in roads in the USA marketplace, working with legendary Hollywood director Garry Marshall on the upcoming ‘Pretty Woman – The Musical’ that is earmarked for a 2016-17 season on Broadway. Matt has starred in over 15 major theatre productions in Australia including: South Pacific, Hair, Rocky Horror, Flowerchildren (The Story of the Mamas and Papas), The Last 5 Years, Sweet Charity, Damn Yankees and Sugar.